At TSI, we’re passionate about education. We work with athletes, coaches, physical therapists, athletic trainers, and physicians providing the most current information in rehabilitative and athletic medicine and performance enhancement. 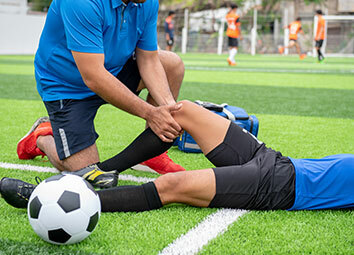 We bring in outside experts in the fields of orthopedics ,physical therapy and athletic medicine, many of whom work with professional athletes, to discuss topics relevant to athletic trainers, physical therapists, personal trainers, athletes of all ages, and the general public. Educational clinics hosted at our facilities are open to all interested individuals. Topics and times for these educational sessions will be posted on our website or you can sign up for automatic email updates. In addition, we work with entire teams as well as individuals to improve performance and teach proper body mechanics. 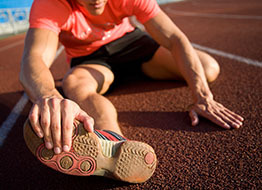 Using state-of-the-art assessment tools like the DARI and TRAZER systems, our clinicians can evaluate an athlete’s body mechanics and will recommend adjustments in technique to help maximize injury prevention and boost performance. We assist you in developing the body mechanics that will help prevent injury as well as increase flexibility, strength and performance. 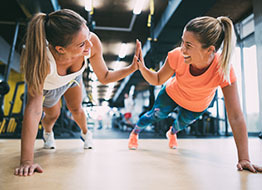 An ATC, PT or Certified Strength and Conditioning Specialist (CSCS) provides guidance that will positively impact your health, wellness, fitness level and performance. 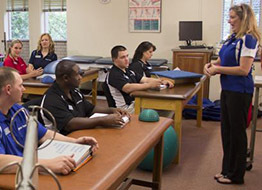 Athletic trainers, physical therapists and PT aides can receive continuing education credits through each of their respective credentialing boards on topics presented by experts (MDs, PTs, ATs) that are current and relevant to their specialty. Learn proper biomechanics to help prevent knee and elbow injures and improve whole body mechanics for strength and wellness.